Do you guys know about super talented American designer Thomas Paul? I'm sure most of you do. 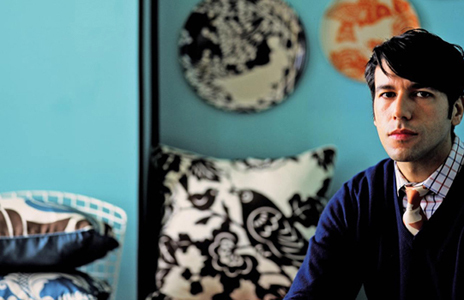 I remember being sent images of his lovely little blue New York apartment in the mid 2000s. Well he has gone all nautical on us. A few years back I fell in love with his melamine whale platter I ended up giving as a 30th birthday present. I'm still not sure if it's cool to give melamine as a 30th pressie but the illustration is so amazing I can kinda justify it. 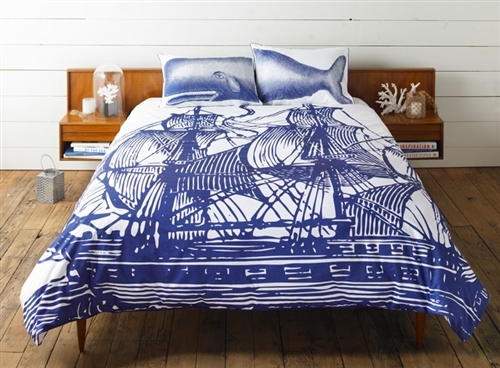 Today I have just discovered he has branched his inky blue illustration into gorgeous nautical bedlinen, cushions, tea & bath towels, shower curtains and scarves. The nautical trend has been around for a while now. I first saw hipsters in New York and Tokyo dressing like hardworking fishermen in late 2009 early 2010. I even did a little SnOOp post about it last year as a Trend Alert here. I don't think I will get tired of this look for a while yet. Make sure you check out his website because there is a whole world of lovely on it. Great idea!! One other that I utilize often is to take pictures of my rooms and looking at them on the computer screen…for some reason, it gives me a new perspective and new way of looking at the room. Not sure why it works, but it does:) Thanks for the inspiration. 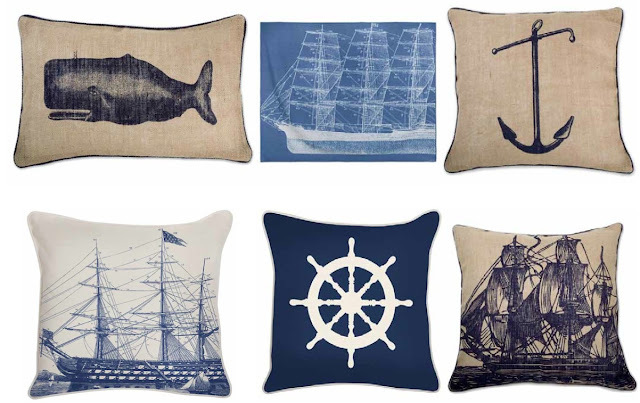 I would love to know if you end up purchasing any of these textiles. 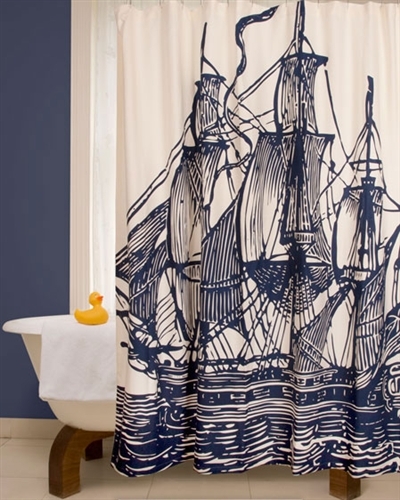 It's hard to find solid reviews for them, and at the price point ($120 for a shower curtain!) I wanna make damn sure they're sturdy like those old gnarly sailors whose profession they evoke, ya know?